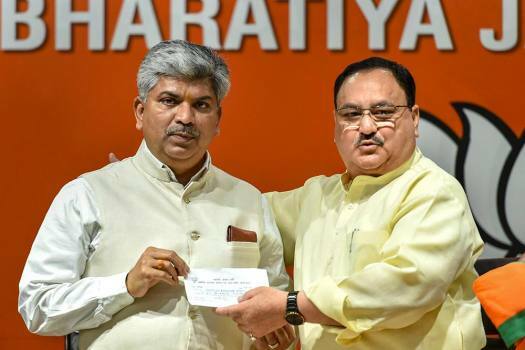 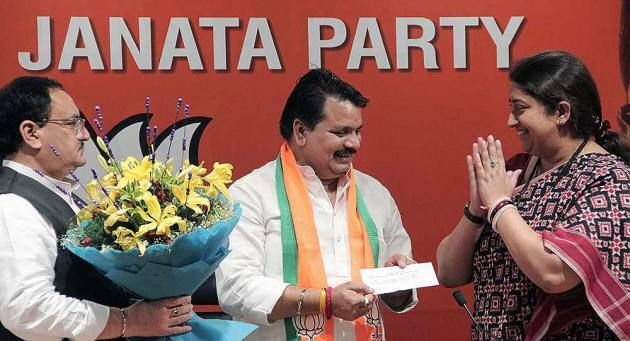 Bharatiya Janata Party leader and Union Minister JP Nadda presents the membership slip to former Congress leader Ananda Bhaskar Rapolu as he joins BJP, in New Delhi. 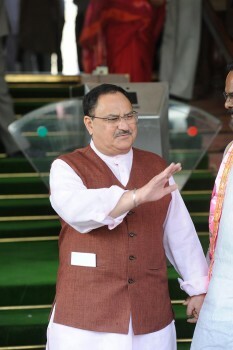 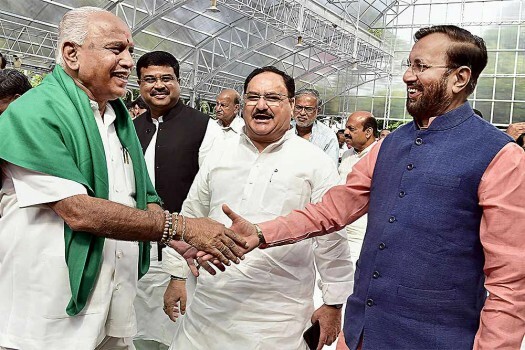 Bharatiya Janata Party leader and Union Minister JP Nadda greets Nishad Party leader and Gorakhpur (UP) MP Praveen Nishad after he joined BJP, in New Delhi. 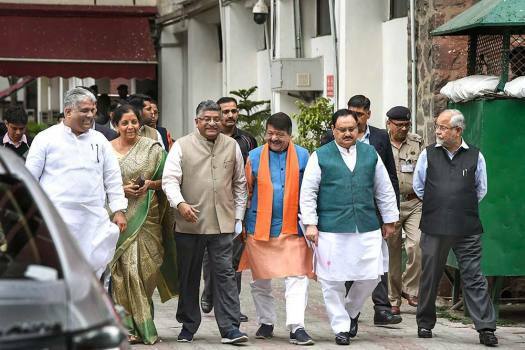 BSP leader Chandra Prakash Mishra joins Bharatiya Janata Party in the presence of senior party leaders Smriti Irani and Jagat Prakash Nadda at Party Headquaters, in New Delhi. 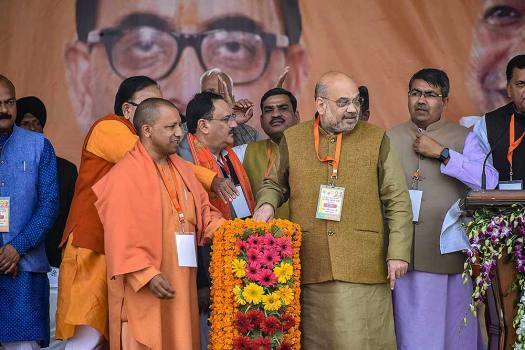 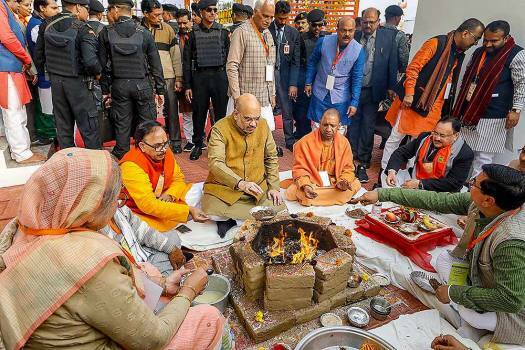 BJP President Amit Shah, Union minister JP Nadda, Uttar Pradesh Chief Minister Yogi Adityanath and other leaders at an election rally in Bulandshahr. 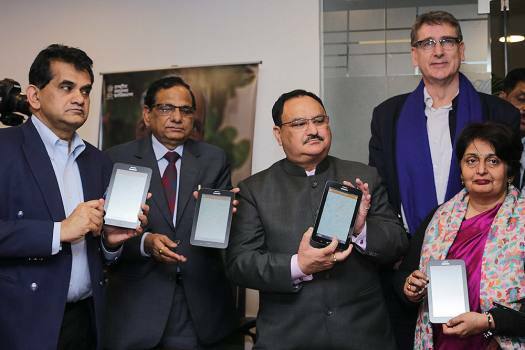 Health Minister JP Nadda along with NITI Aayog CEO Amitabh Kant and others launches the Ayushman Bharat Mobile App, in New Delhi. 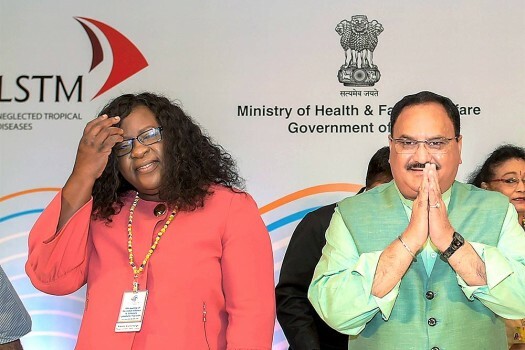 Prime Minister Narendra Modi with Health Minister J P Nadda at the inauguration of the 4th Partners’ Forum 2018, a global meet on infant and maternal health, in New Delhi. 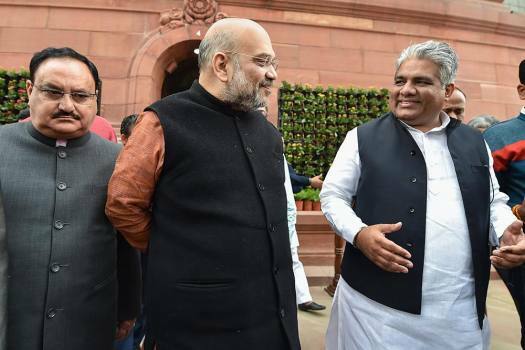 BJP National President Amit Shah with party's leaders Bhupender Yadav and JP Nadda during the first day of the Winter Session of Parliament, in New Delhi. 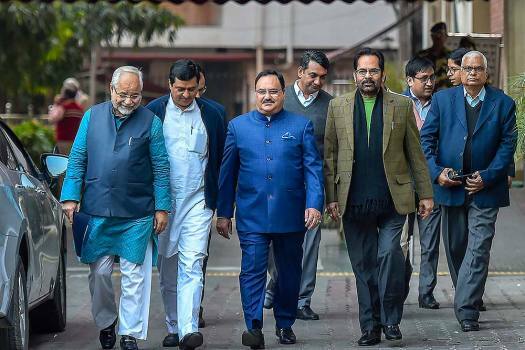 BJP leaders JP Nadda, Mukhtar Abbas Naqvi and others leave after meeting with Election Commission, in New Delhi. 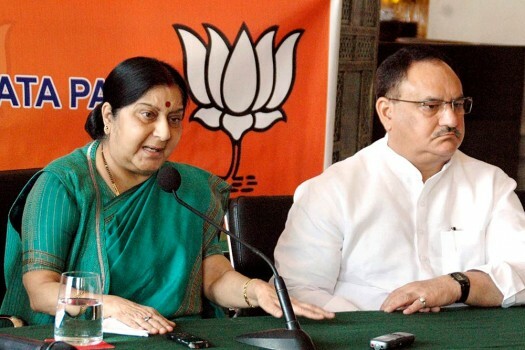 Union ministers and senior BJP leaders Sushma Swaraj and J P Nadda at a press conference in Hyderabad. 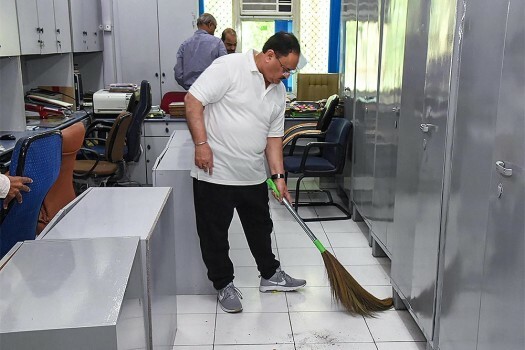 Union Minister for Health & Family Welfare JP Nadda during a cleanliness drive under 'Swachhta Hi Sewa' campaign, in New Delhi. 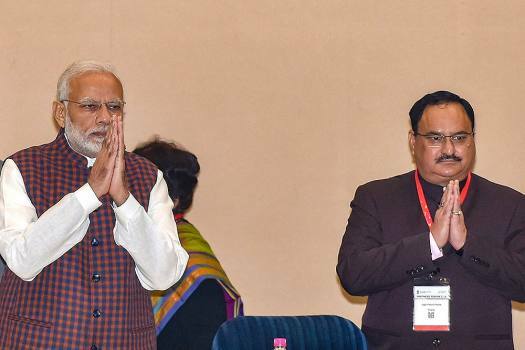 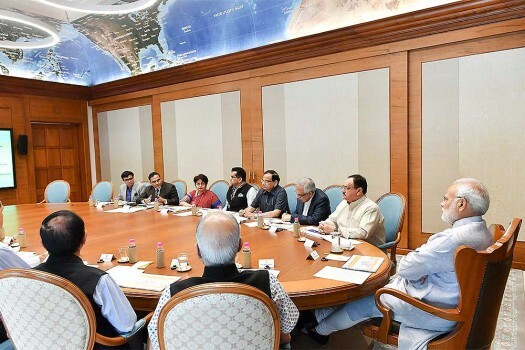 Prime Minister Narendra Modi reviews the preparations for the launch of Health Assurance programme under Ayushman Bharat, in New Delhi. 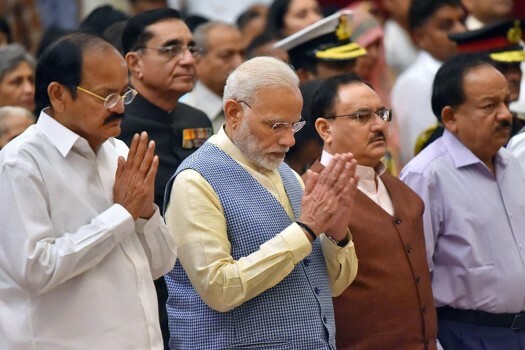 Vice President V Naidu (L), Prime Minister Narenda Modi and Union Health Minister J P Nadda attend Defence Investiture Ceremony at Rashtrapati Bhawan in New Delhi. 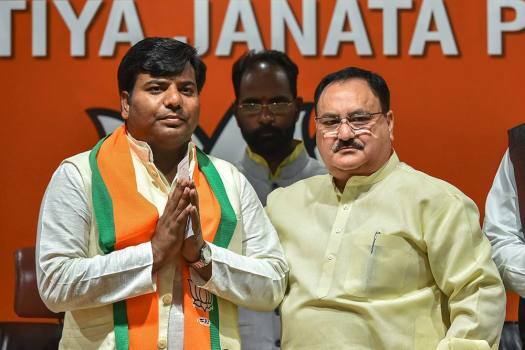 Bharatiya Janata Party has fielded 25 new faces and 85 sitting MLA's for the upcoming Rajasthan assembly polls. 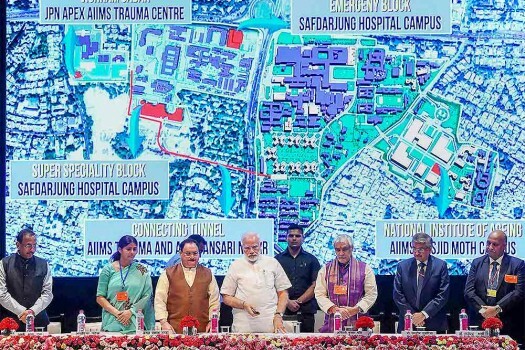 Those waiting for a helping hand for organ transplant, like the expensive liver or kidney transplants, may get to hear the good news when the second phase of the plan is rolled out. 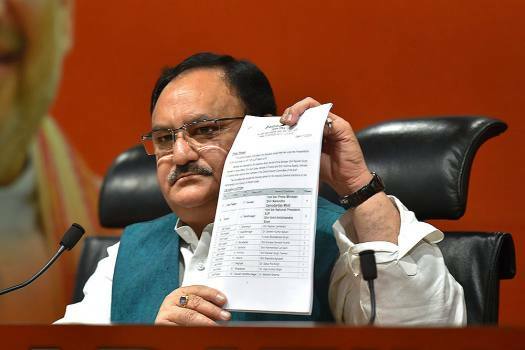 Another child succumbed to encephalitis on Sunday, taking the death toll over 70. 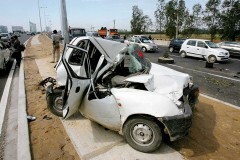 11 children died on Saturday and until Friday the death toll stood at 60.